Ladies and gentlemen, it's time to rake those bars up, rake those seats back, and make this happen -- CHICAGO STYLE!!! 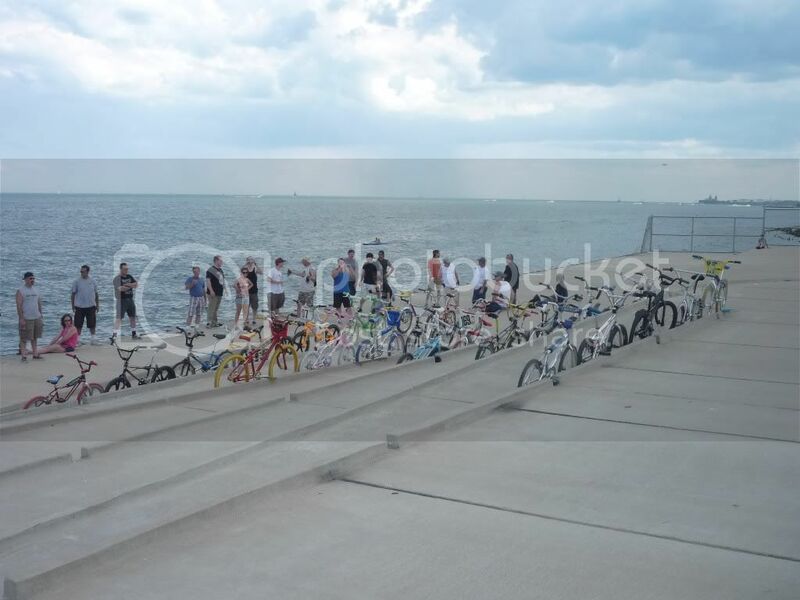 My name is Perron, and I'm one of the nearly 30 Chicago area old/mid school riders who met this past Saturday on Chicago's lakefront for what turned out to be a great experience. We rode along the shores of Lake Michigan on a beautiful day, took in the sights, and hung out afterwards to tell stories, talk about life, and enjoy food. 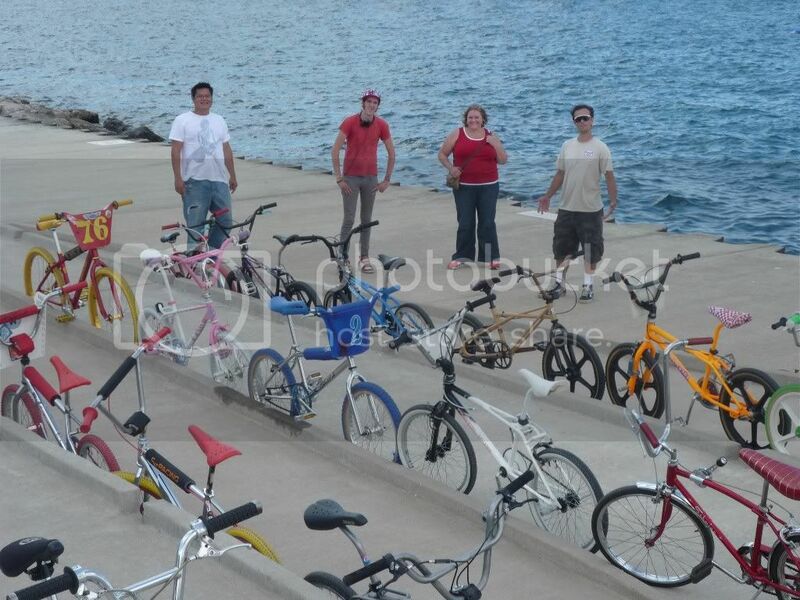 Hence an idea was hatched: Starting a Chicago area BMX club! You Know you can count me in. As Ive stated in the Official Ride thread,Im definately IN. 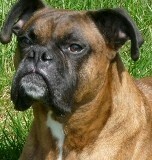 I will help in any way I am needed and Im more then happy to give my number,addy,email,etc when needed. "The club for Old School and Mid School BMX riders"
We can just get those temporary kid tattoos for everyone.....NOT! Neal, I like the simplified name with the motto a lot. Those who are "in the know" know, and those who aren't "in the know" don't know, and don't need to know, ya know? I'd like to roll with it. Those who are down, I think it would be helpful if I kept a roster with names, addresses/locations, and phone #s. I think it would be real helpful, but it's not required. If you're down, PM me your info when you can. Now it's time for me to do some friggin' homework, 'cause it ain't gonna do itself. Catch y'all tomorrow! Perron you know I'm in! My bikes need to get ridden in other places other than around my neighborhood! 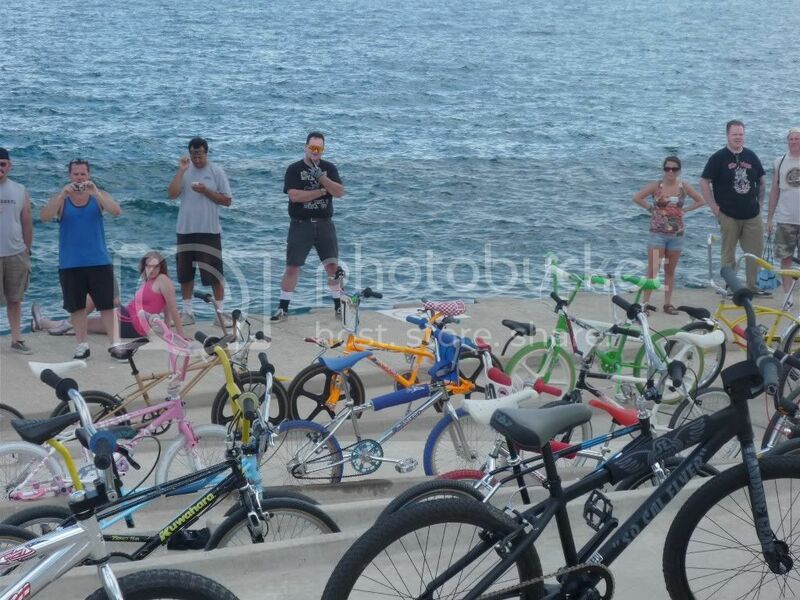 44 Tooth BMX Club Chicago. Accept no substitutes. Ride on! "old school all the way,or no school at all"
Alright, I peeked in between assignments and I am stoked to see all the interest! 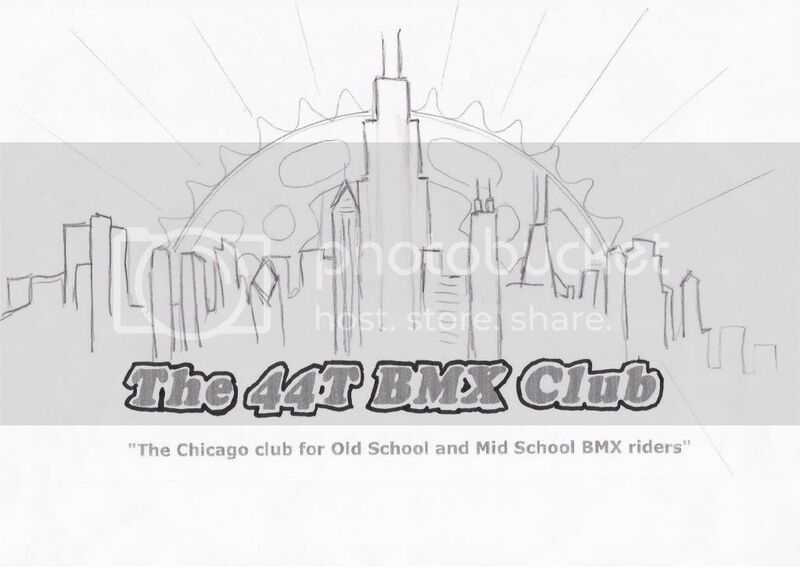 Based on some feedback, we're gonna roll with "44T BMX Club", and I think that the signature should include the subscript "Chicago" so that people know where we're from. It looks like Bipolar is gonna head up that creative department, so I'll leave designing the signature to him. Those who have already PMd me, I thank you. I'll start compiling a roster that'll be kept offline except for use in PMs. Everyone who submits their info is doing so voluntarily, should have this understanding, and won't have to worry about me doing dumb or inappropriate ish with their info. I also missed it but im in , so whats going to be the official name ? I missed it too, and I sure don't know how often I'd be able to make it down to Chicago, but I'd like to be in to get the info to try. Awesome thing here. WTB: Nothing, unless it's a real cheap local survivor score! "BICYCLING DON'TS: Stunting, doing wheelies, or 'dirt biking' places stresses on bicycles far above design intentions. Damage such as broken welds, bent forks, and 'flat spots' on rims will result" -- Breaking all the bicycling rules since 1977. Don't forget us retro riders. Maybe we can be a sub-group with our own insignia. I'm in. Let's keep this alive guys. I missed the first run due to me being on vacation. I'll see if any of the Indiana crew are willing to commit to this too. Looks awesome! My 2c would be to leave off the big "The" and just have "Chicago" underneath instead of the whole sentence which seems sort of redundant. Yeah, that way the "BMX" could be centered. Nealsky's design is great, and I think that between his and mine (which share some common elements), we will find what works for everybody. Let me know your thoughts, and I again want to thank everybody for their enthusiasm and participation!